Anybody wishing to be successful online must focus on their users. And users have wishes that need to be considered. This includes the fact that a website should load quickly irrespective of the terminal used. This is a challenge, especially in times of “mobile first”, because increasingly faster new devices, technologies and browser versions are being introduced to the market. Martin Sailer-Arnold is the Head of E-Commerce of the online furniture shop DELIFE. He has been combining conventional marketing activities with new technologies for ten years now to improve the customers’ user experience. As of late, he has been using wao.io to be able to provide an even faster website, especially on mobile devices – about 60% of the traffic to DELIFE comes from smartphones and tablets. We asked him about his experiences. You have been dealing in furniture online for ten years now. What distinguishes you? We are not mere dealers, we also manufacture our furniture ourselves. 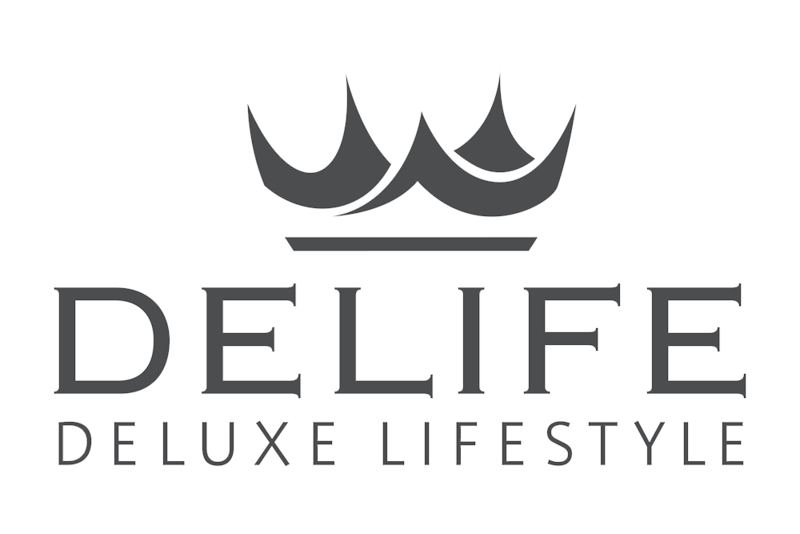 DELIFE is a family-run company and originated from the furniture sector. We sell trendy, high-quality solid wood furniture from Germany at a fair price. Our core business is furniture retail and our delivery times generally lie between two and three working days. But of course, we do also have a showroom where our customers can test all furniture to their heart’s desire. You are established in the sector – how is business doing? At present, we have an annual turnover of about twelve million euros, the majority of that coming from our own online shop delife.eu. But we have ambitious targets and want to grow further. For this reason, we are constantly optimizing production, storage and other corporate divisions. Our aim is to always have furniture ready for immediate dispatch. How and where do your customers find you? We are strongly represented organically in online searches in the furniture sector, predominantly among solid wooden furniture and upholstery. Of course, we are also listed with Google Shopping and with many price search engines. We are also expanding and are making use of the entire spectrum from Amazon over eBay to Otto or Real for our products. We also utilize AdWords and remarketing. What is a successful marketing campaign in your opinion? We find the factors sales and costs in the entire company important, even in marketing. The likes of traffic and impressions are indeed also factors of success, but the overall success of a campaign is measured by the benefit-cost ratio. Do you get more traffic from smartphones or from PCs? Our customers are clearly “mobile first”: About 60 percent of our traffic today comes from mobile devices. That is already twice as much as three years ago. And the development towards “mobile” is not over yet. What do you do with the traffic, do you have a high user bounce rate? We constantly measure the bounce rate, analyze user enquiries and adapt our marketing accordingly. By doing so, we have already achieved that only about half of our users leave our shop again without clicking further. In order to reduce the bounce rate even further, we also rely on technical solutions: Our website is, for example, fully responsive, meaning mobile users can use the shop directly. In recent years, web performance has also become more and more important to us. Today’s customers find a slow website more off-putting than a long queue at a supermarket check-out. You recently started to use wao.io to increase your web performance further. Are there any results yet? Yes, with the much improved loading time, especially on mobile devices, we now only have about a 35 to 40 percent bounce rate in comparison to it previously being about 50 percent. The website reach has improved considerably. Instead of only visiting two or three pages, many users now navigate on five to six. The navigation also runs very smoothly on smartphones meaning more products are looked at longer and in more detail. Even the conversion rate has improved by 10 to 15 percent. How do you measure your web performance? In the classical way via Google Analytics, we use our content performer for regular data queries. Whether there has been an outage anywhere is measured every minute. This is compared and we are able to measure the loading times accordingly. In addition, we do regular internal tests from several sources. When new devices or technologies are introduced to the market, we test them extensively with stationary and mobile devices, even via normal 3G mobile phone networks. We are very eager for DELIFE to run smoothly and quickly on all devices. Have you had more traffic since activating wao.io? Traffic has increased, mainly because we are now positioned even better in SEO matters. Thanks to the faster website, there has been a positive impact on Google rankings, even in image searches. Our images are indexed better than prior to wao.io and because they appear more frequently in search results, we get more traffic. Which features of wao.io are particularly well received by your team? It is very easy to operate and optimizations can be seen live straight away. I can control a lot with merely a few clicks and toggles, without our developers having to intervene in the code of the website. The automated image compression additionally alleviates our image editing process. We have a lot of new content every week and that is where such on-the-fly optimizations and even the modern caching of wao.io are very useful. You are using Plentymarkets as e-commerce software. Did you simply activate wao.io there or do you have your own DNS provider? We are entirely in the AWS cloud and the content is output by Plentymarkets directly. There is no other provider in between. After conferring with Plentymarkets, the activation of wao.io worked without any difficulty. Thank you very much for the chat, Martin! Founded in 2008, DELIFE with its head office in Ebersdorf near Coburg, has 50 employees today. About 60% of the furniture retailer’s customers use the web shop via mobile devices. Read the customer success case of Nebulus here.